Image taken from Cox, "Rockingham," p115. 44.10a. Marked HALL. 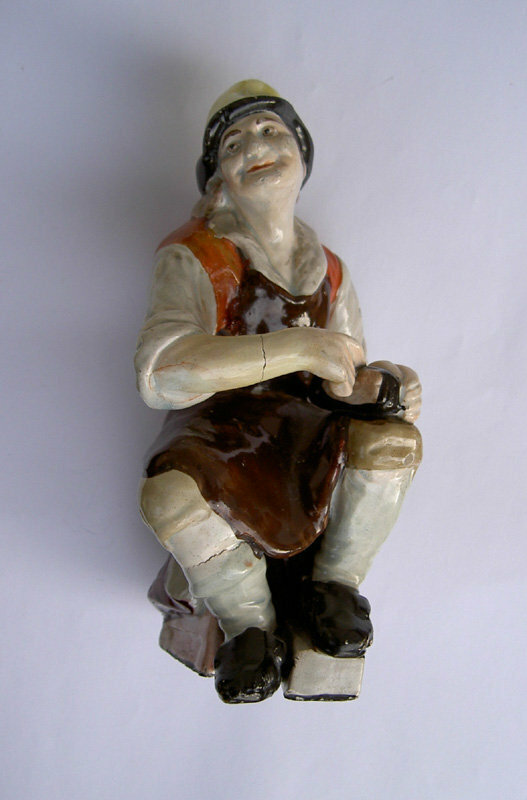 This titling, typical of the Box Title Group, is not recorded on any other HALL figures. Courtesy Philip Carrol Antiques. 44.20. 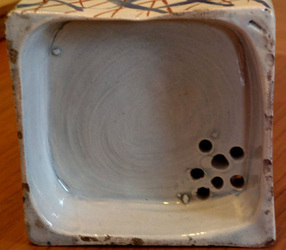 This figure has lost its base, but I show it because we have a photo of the interior, alongside. 44.21. 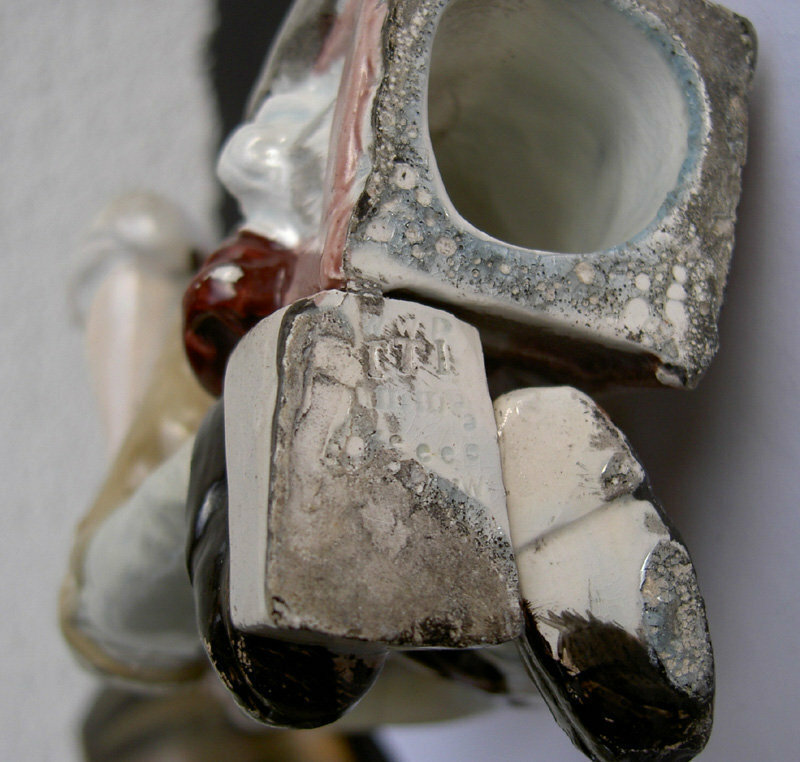 The interior of the figure in 44.20...a view we do not typically see. 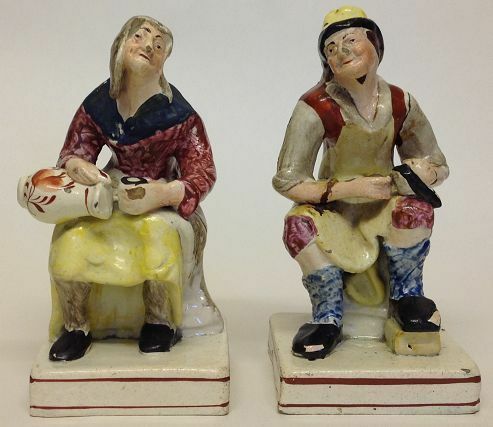 The typical Jobson and Nell figures below are incredibly close in appearance to the pairs above, but they are "in the white." 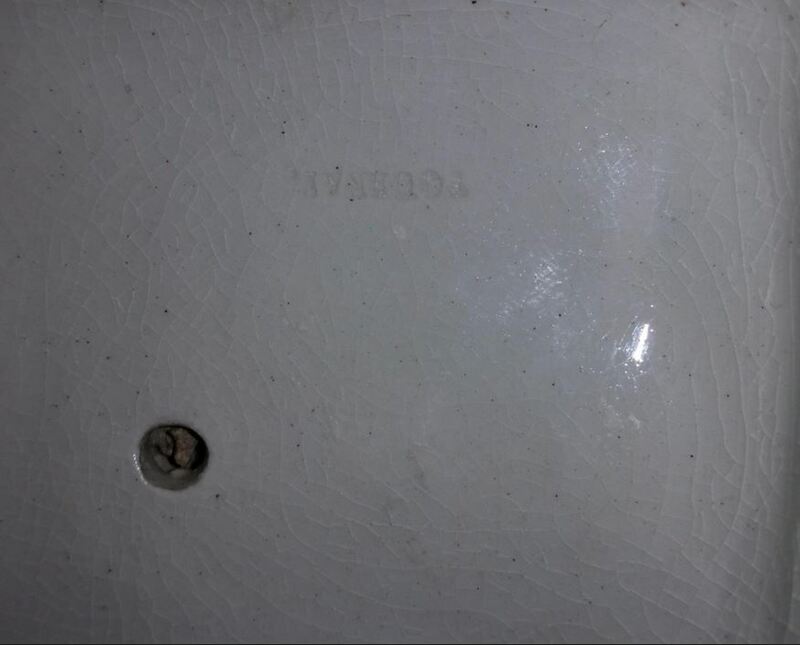 In other words, pretty enamel colors were not painted on top of the glaze. We see this sometimes with early Staffordshire figures. No big deal. 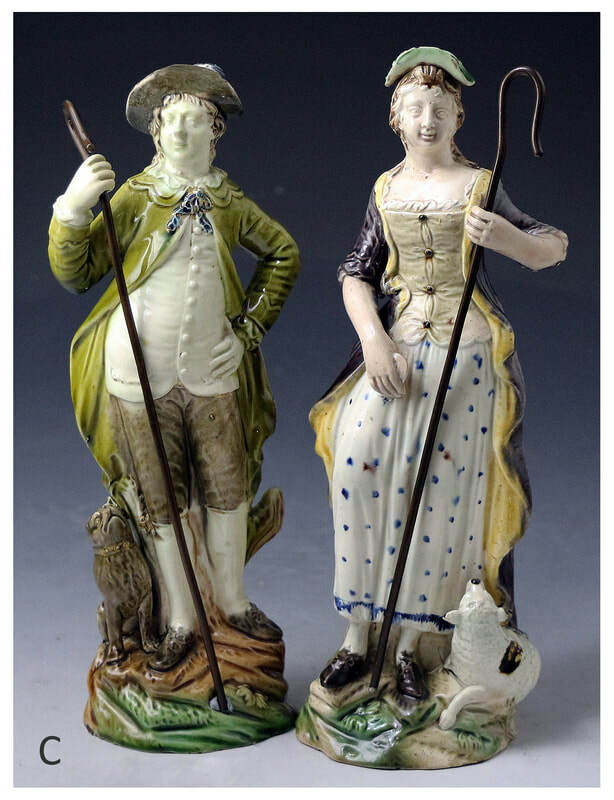 The figures appear to be English pearlware made in the early decades of the nineteenth century....but there is one troubling detail: both are impressed beneath TOURNAY, the mark of the Tournai factory in Belgium, which is best known for its porcelain but also made creamware from 1800. Figures were apparently included in Tournai's production, and from this we are led to conclude that this pair of Jobson and Nell are Belgian rather than English. 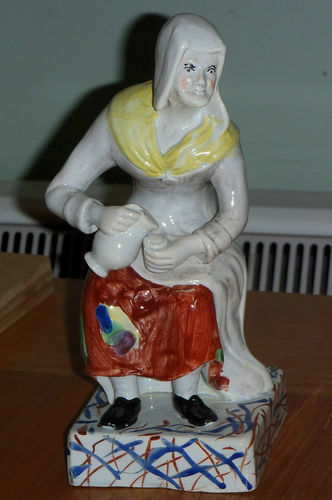 The collector who bought these figures tells me that the glaze has a green tint, rather than the blue color we would expect in English pearlware. 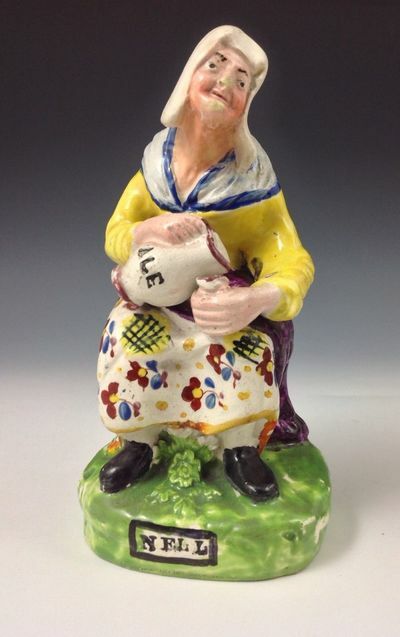 Jobson and Nell are characters from the English stage. Why would a Belgian manufacture want to make these? They are far from beautiful, so their commercial appeal had to be limited. And they had no relevance to their continental customers. 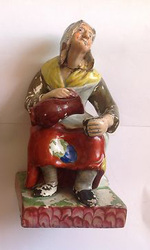 Is it possible that Tournai (which exported pottery dinnerware in typical English patterns to England) also made Jobson and Nell figures to export to Britain? Yes, it is--but that truly would have been sending coals to Newcastle! 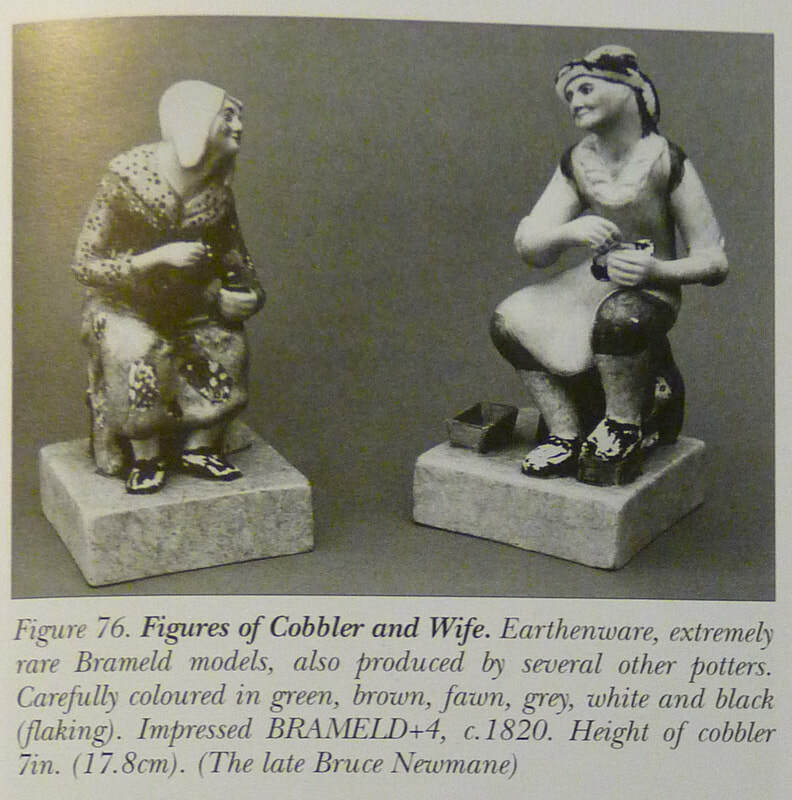 How could these unpainted figures compete on the English market with the many colorful models that the Staffordshire potters were turning out? 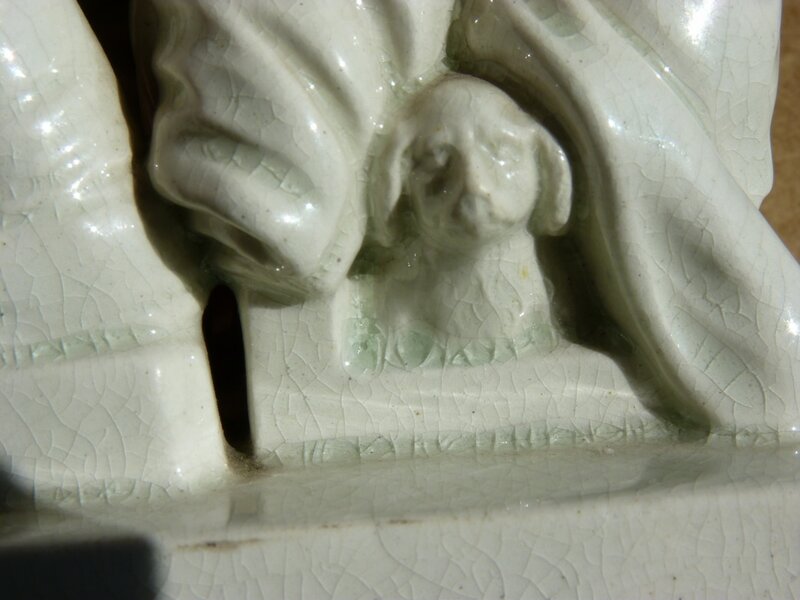 If Tournai made creamware figures, where are the others? I can find no examples in the numerous museum collections online.